Today marks the end of my first month working with Food & Fitness and the Youth Engagement component. I have had the opportunity to help with a variety of events throughout the area and I have been impressed with the youth and their creativity, leadership and desire to learn. As it being county fair season, I have ventured to several of the fairs helping with the always popular Bike Blender which I have enjoyed seeing groups of people (of ALL ages) waiting to take their turn to pedal the bike to blend up the delicious smoothies. The big smiles on the little ones faces are always pleasing to see, but I realized this fun event where kids enjoy being physically active is also fun for their families to watch, even the elderly as they pass by stopping to watch in amazement. 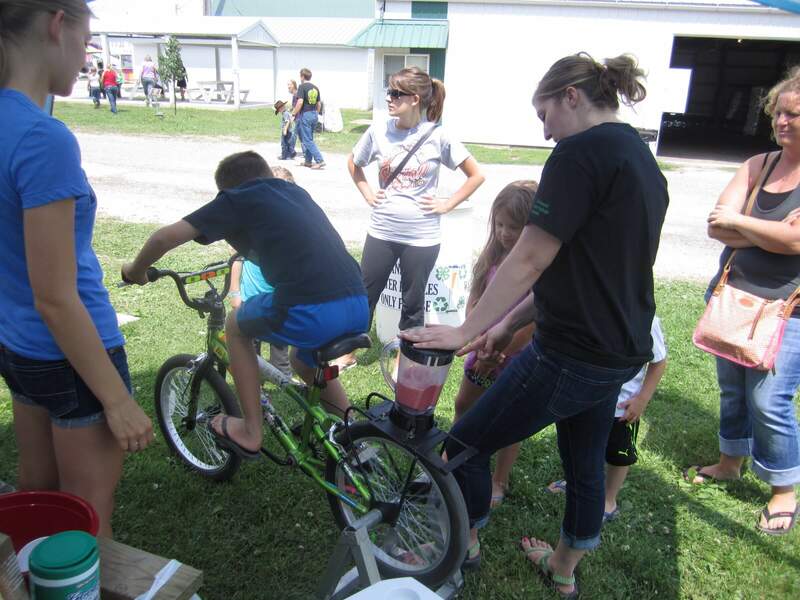 Everyone is impressed by the bike powered blender and the yummy samples! 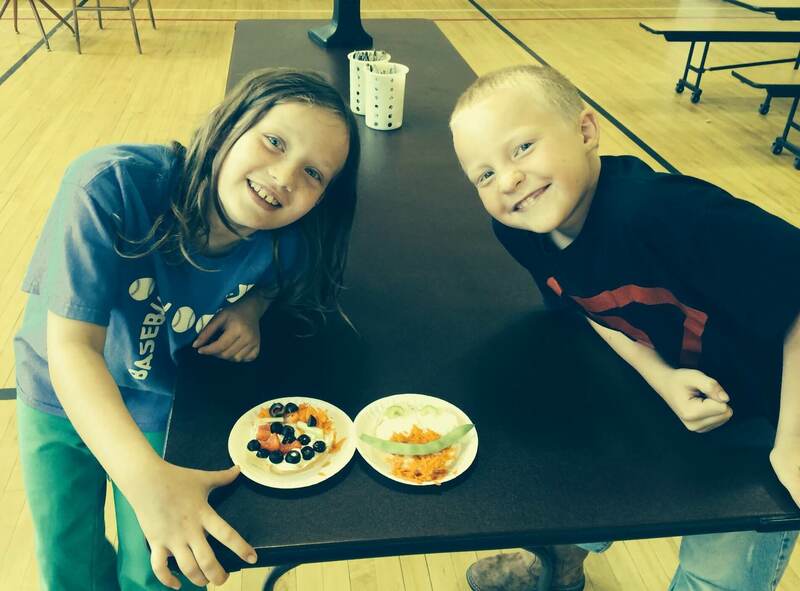 This last week, I have thoroughly enjoyed working with elementary students in Postville who are participating in the Pick a Better Snack summer day camp. I stepped in to help a few days and I have been more than pleased with these students’ knowledge of fruits and vegetables and categorizing all types of foods in the different food groups. 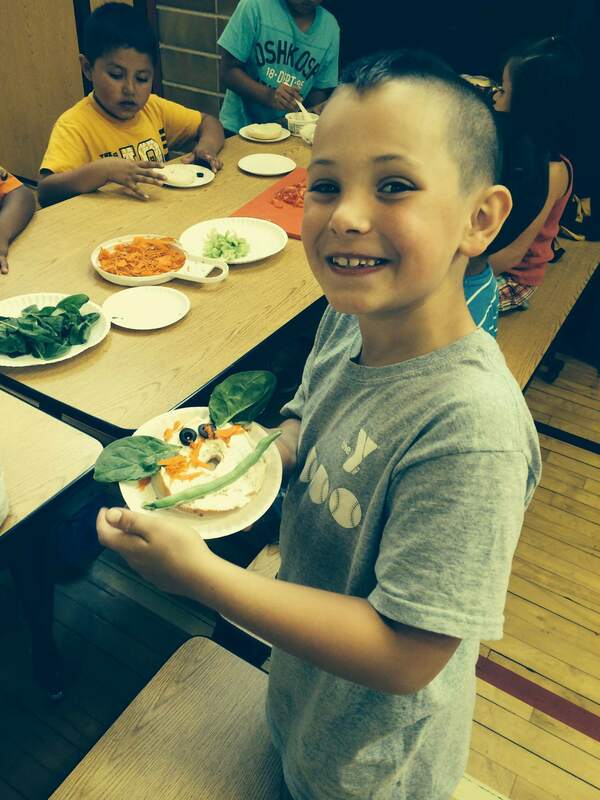 It is so neat to see kids passionate about food and learning where they come from and how they grow. But what pleases me even more is to see how learning these things can have a positive impact on the students. Not only are they learning about healthy foods but I have also seen positive behavior change. The students are challenged to try new fruits and vegetables daily and they take pride in recording these achievements in their food journals where they place a sticker next to each new fruit or vegetable they’ve tried. Watching them fill their lunch trays with the optional servings of fruits or vegetables puts a big smile on my face. 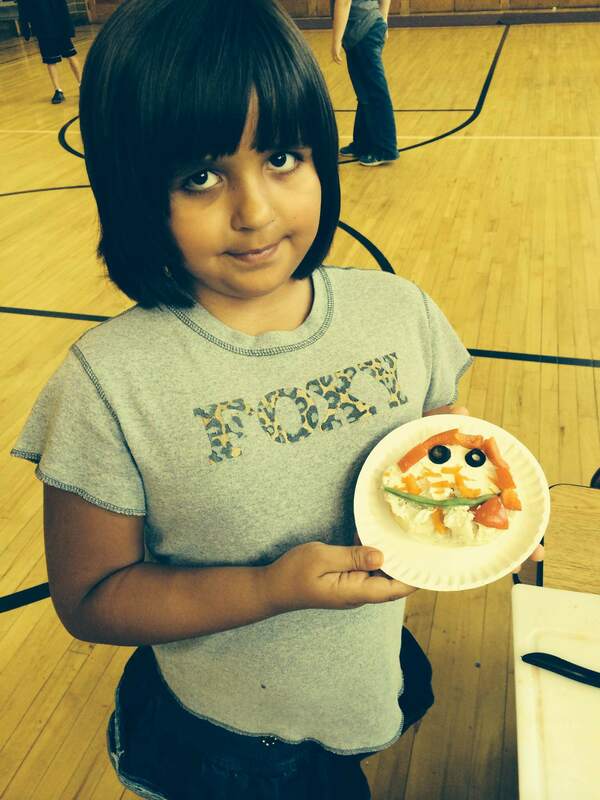 For snack the other day, they made veggie faces out of a bagel and a variety of vegetables. The older kids shredded the carrots, diced peppers and cut up the celery learning some great knife skills. After assembling the bagels they then of course got to eat them… some of the bagels were piled high with shredded carrots, olives and spinach and they chowed them down! Out of all the fun moments at Postville Elementary, my favorite was watching one little boy, who often was known to cause disruption in the classroom, become a leader as he facilitated a fun educational activity for his classmates challenging them to guess the vegetable he was thinking in his head. His knowledge of gardening and love for produce truly shows and it was that “jaw dropping” moment when the other teacher and I witnessed his new behavior and engagement in the lesson. Seeing him excel and be proud of himself reminded me how important it is to search for your students’ strengths. All students have great potential and when they show it, you just have to let them run with it. This past month has been a lot of fun and I am really looking forward to the upcoming school year! This entry was posted in Active Living, Healthy Living, School Wellness, Youth Leadership by Laura Liechty. Bookmark the permalink. Great blog post Laura…it’s great to hear about the learning taking place!